These fake text messages purport to be from EE and claim that you haven’t paid a bill. 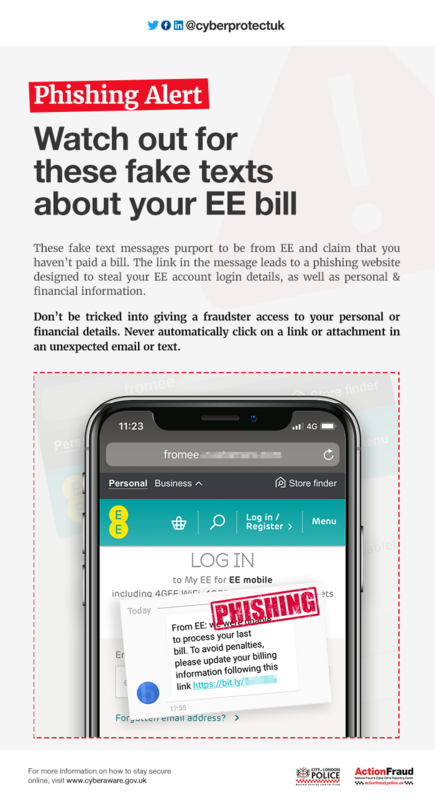 The link in the message leads to a phishing website designed to steal your EE account login details, as well as personal & financial information. Don’t be tricked into giving a fraudster access to your personal or financial details. Never automatically click on a link or attachment in an unexpected email or text. Could You Knit Or Crochet A Buddy Bear For A Child In Need? 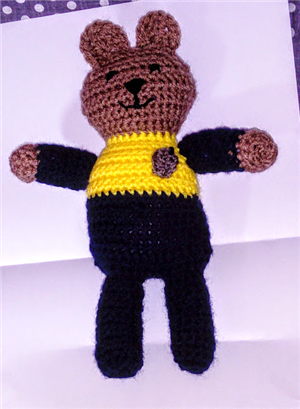 I am emailing to request if anyone receiving this email would like to knit or crochet a Buddy Bear for a child in need who may have been involved in an incident, or may been have victim of crime. There is knitting pattern available or you can follow a pattern of your choice! You could be the one to change how a child remembers a difficult situation. The bear can be designed to look like a Police Bear! If you would like to part of this movement, please knit or crochet a small bear and bring it to Crewe Police Station or reply on here for a request for someone to collect it from you! Thank you for taking the time to read this and to those who act on this email thank you in advance for sending comfort to a child in need. 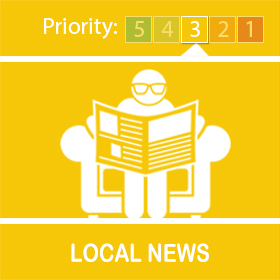 Cheshire East Council officers seized cigarettes and tobacco worth more than £12,000 during a swoop against suspected fraudsters. More than 50,000 cigarettes were uncovered during raids by council trading standards officers on a number of properties in Crewe and Macclesfield. Officers and sniffer dogs discovered concealed stashes of tobacco at the premises, with products hidden in various areas, including a false wall, light fittings and under floorboards. The ‘Operation Max’ swoop followed a tip-off that cigarettes were secretly being stored in a number of residential and business locations. The cigarettes were mainly ‘cheap whites’ – foreign imports brought into the UK, which are illegal due to the non-payment of duty. 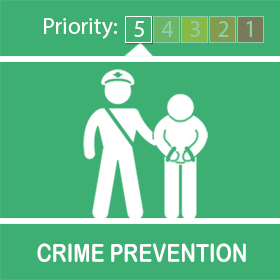 Councillor Janet Clowes, Cheshire East Council cabinet member with responsibility for safer communities, said: “As an enforcing council, we work hard to keep harmful products off the streets and will crack down on businesses, criminal gangs or individuals who flout the law. “All tobacco is harmful but the illegal black market in tobacco, and in particular the availability of cheap cigarettes, makes it harder for smokers to quit and remain smoke free. Detection dogs can find tobacco and cigarettes in the most unlikely places and, in addition to having their stock confiscated, offenders could face unlimited fines and up to 10 years in prison. “This operation was intelligence led and local information really helps to get successful results. 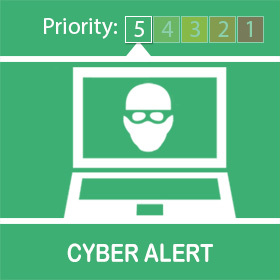 I would like to thank anyone who has provided information to the council, Cheshire police, or who has reported to the national ‘keep it out’ website – which allows people to report anonymously. Further investigations will now take place with a view to prosecutions through the courts. You can report any information on smuggling or illicit trading, anonymously, via the government’s keep it out website or by calling 0300 999 0000. A pioneering US hi-tech company has expanded into the UK – following support from the Cheshire East Council’s arms-length Skills and Growth company. Los Angeles-based Eyenuk, which has developed advanced retina screening technology, has opened its first office outside America thanks to help to source premises in Crewe and identify new markets. Since recently opening its office at Crewe Hall, the business now employs seven UK-based staff. Eyenuk is developing a range of artificial intelligence (AI) diagnostic products, which quickly and accurately identify patients suffering from potentially blinding eye diseases – such as diabetic retinopathy and age-related macular degeneration – using computer vision and image analysis expertise. The company is looking to expand its operations and gain further international health approvals for its products. One of Eyenuk’s latest innovations has been to develop AI diabetic retinopathy screening software, which is multi-platform – allowing the use of smartphone technology to provide cost-effective and easily portable equipment for mass eye screening programmes. NNWW18 runs until next Sunday, June 24– it’s our annual week of social action across our network of 2.3 million member households - so it’s a perfect time to take a look and share the knowledge! During the last 12 months, the council has implemented an improvements initiative which has included a £2.4m leadership programme. This has supported more than 60 rural businesses and colleges, including Nantwich’s Reaseheath College, through the closely linked Local Development Order programme. Councillor Liz Wardlaw, Cheshire East Council deputy leader, said: “It’s important we are backing these magnificent rural events. During the year, we have been working closely with local businesses to support them in a variety of ways. We are very fortunate in Cheshire East to cover 450 square miles of beautiful countryside across the borough – this is a fantastic opportunity to showcase what we have to offer. The Wistaston Village Fete took place on the afternoon of Saturday 16th June 2018. This annual event is organised by the Wistaston Community Council and took place at Wistaston Church Lane Academy, Church Lane, Wistaston, by kind permission of the Academy. The event began with a procession from Wistaston Memorial Hall led by Scottish Piper Reg Flower, followed by Wistaston Scout group’s Beavers, Cubs and Scouts carrying the Union Flag, and St Mary’s Rainbows, Brownies and Guides. The procession also included the retiring Wistaston Rose Queen (Jessica Doano) and retiring Attendant (Elise Kennerley) in a vintage car and this year’s Wistaston Rose Queen (Poppy Bellingham) and Attendant (Lyla Manfredi) in a Bentley Continental GT Convertible car. The procession was supported by Pochin Construction and Dutton Contractors for the third year running. Once the procession had arrived within the Arena at the Academy the retiring Rose Queen (Jessica Doano) thanked Wistonians for their support and stated that the magnificent sum of £1,500 had been raised for WaterAid during her year of office. The money will go towards providing clean water, decent toilets and good hygiene in poor communities around the world. St. Mary's Wistaston Rector Mike Turnbull then passed the crown from Jessica to this year's Rose Queen, Poppy Bellingham, aged 13 from Willaston and a pupil at Malbank High School. Poppy stated that her chosen charity this year is Save the Children. This year’s Wistonian of the year, Ray Westwood, then officially opened the Fete. The Fete's theme this year was Suffragettes as this year is the 100th anniversary since Parliament passed a law which allowed the first women, and all men, to vote for the first time. Ken Sambrook was the Master of Ceremonies and introduced each event in the Arena. Bob Squirrell setup and monitored the sound system. Several children took part in the fancy dress competition which was judged by Her Worshipful The Mayor of Cheshire East Councillor Mrs Lesley Smetham and her Consort Mr David Smetham. Entries included a Suffragette, a Queen of Hearts, a Votes for Women campaigner, and a unicorn. The competition was won by Perdita Jones with her Suffragette costume. The Arena hosted a performance by Dope Male Performance Company with their hip-hop dance, Dee-Sign British Sign Language choir, and Alison Gallacher School of Dance. The wind was too gusty for a flying demonstration by Eskdale Hawks Falconry so they gave an informative talk about falconry. In the school hall there was entertainment from Wistaston Church Lane Academy choir and Laura Cunliffe who sang and played the guitar. On the front playground there was a Cheshire Fire & Rescue Service appliance. The Laurie Twiss Award for journalism was won this year by Maria Price. The Award is open to all young people in Wistaston aged under 16 years old who are asked to submit a short story or article of no more than 200 words. The submission date for next year’s competition is 31st May 2019. There were thirty-three stalls representing local organisations and charities. Refreshments were available in the school hall and outside from the Wistaston Scout group. The event took place in mainly dry weather and was enjoyed by several hundred people. Admission to the Fete was by donation and proceeds from the gate receipts and Wistaston Community Council stalls will go towards other Wistaston village events, such as the Flower and Produce Show, Spring and Christmas Concerts, and the November Fireworks Display. The Wistaston Community Council always welcomes new members to help organise next year’s Fete, as well as the other Wistaston-based events. Please visit http://www.wistastoncommunity.co.uk/ for further information if you would like to join. St Andrew’s Church are hosting a joint ‘Summer Concert’ with the TCTC Group Band and Singing Sensations at St Andrew’s Church (Bedford Street, Crewe CW2 6LE) on Saturday 30th June 2018 (commencing at 7:30pm). The TCTC Group Band are a Crewe-based championship section brass band, formerly known as the Co-op Funeralcare Band. Singing Sensations are a well-known and popular South Cheshire-based choir. All profits will be divided between Bowel Cancer UK and the St Andrew’s Church community centre. Tickets are £7 including refreshments. Further information and tickets please contact Robin 07947 571564 or Charlotte 07891 912821. Crewe Brass tune in for new members. A local brass band is looking for new players to bolster its ranks. Crewe Brass are a friendly first section band, based in Crewe near J16 of the M6, who cover the North West region of England. The band are looking for people who play Cornet, Baritone, EEb Bass and BBb Bass to perform music from their wide repertoire. They rehearse on a Monday and a Friday (7:45pm to 9:45pm) at Shavington Primary School. For further information relating to Crewe Brass please visit http://crewebrass.co.uk or contact Musical Director Matt Pithers via telephone 07921062732 , email: crewebrass@yahoo.co.uk . The next Crewe Brass performance is a Summer Concert on Saturday 14th July 2018 (7:30pm) at Longton Salvation Army, Heathcote Road, Longton ST3 2LY. Tickets = £5 and are available on the door. 35th South West Cheshire Wistaston Scout Group are hosting a ‘60th Anniversary Dinner’ on Friday 29th June 2018 (7:30pm til late, carriages at 12am) at Crewe Alexandra Football Club. Price = £35 per head. Dress code – formal attire. Tickets must be bought in advance and are available from Alex Smith 07736326395 or smithybop@yahoo.co.uk . Proceeds will go to the 35th South West Cheshire Wistaston Scout Group. Further changes to bus services in Cheshire East are to take place next month. The changes are to commercial bus services which are not subsidised by the council. Operator D&G Buses has decided there are too few passengers to make services, or parts of some services, economically viable. 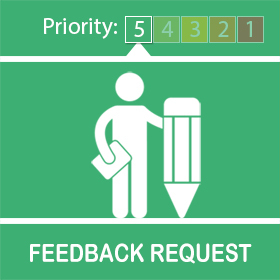 ● 88A Knutsford – Wilmslow Colshaw Farm. This service will be withdrawn. Passengers between Knutsford and Wilmslow are advised to use the 88 service instead, which will be diverted via Longridge along the present 88A route. Passengers between Wilmslow and Colshaw Farm are advised to use the Arriva 130 service. ● 88 Altrincham – Wilmslow – Knutsford – Macclesfield. This council-subsidised service will now operate via Longridge to replace the 88A, with timing changes made to improve reliability. All changes will take place from 22 July 2018. Three major highways schemes planned for Cheshire East have taken a further step forward following decisions by Cheshire East Council’s cabinet. The council is moving to the next stage in its preparations for Congleton Link Road, the Middlewich Eastern Bypass and the dualling of the A500 between Junction 16 of the M6 and the outskirts of Crewe. All three projects are expected to be delivered over the next three to four years and are intended to eradicate serious congestion points on the borough’s highways network. Cabinet has also chosen a preferred bidder for the £90m Congleton Bypass project – but details will remain confidential until all bidders have been informed. The council’s final business case for this scheme will now go to the Department for Transport together with a request for confirmation of a £45m government grant. Cheshire East will contribute nearly £24m with the rest of the cost met from developer contributions. The 3.5-mile highway will relieve Congleton town centre of congestion, release new housing and employment sites and create improved connectivity from Macclesfield to the M6 and from Congleton to the north and to the west. The whole scheme is expected to be completed in the autumn of 2020. In March this year, the secretary of state gave the council the green light to proceed with compulsory purchase orders for the land acquisitions required. Nearly 2,000 new homes and 6,500 new jobs are predicted to be created following construction of the Middlewich Eastern Bypass, which is also moving into its next phase following a consultation which showed 79 per cent of respondents complained of traffic congestion and said that a bypass would be the best solution. Frank Jordan, the council’s executive director for place, will now prepare a planning application and commence the process for acquiring the land to build the road, prior to starting the procurement process for a contractor. He will then obtain final confirmation of funding. The Middlewich scheme will cost an estimated £58m, with nearly £12m coming from a combination of developer contributions and council funding. The council has set aside an additional £400,000 on top of the present £4.1m budget for the preparatory work required to progress the A500 dualling scheme, which will improve links between Crewe and the M6 motorway at Junction 16. A key objective of the £55m dualling scheme is to improve connectivity in preparation for HS2 construction traffic and to relieve a major pinch-point in the highways network of the borough. A funding decision from the Department for Transport on the business case is anticipated by the end of 2018, hopefully giving the green light for the project to go ahead subject to the necessary planning approvals, which will be sought this year. Widening the A500 between Meremoor Moss Roundabout and Junction 16 will also improve road safety and deliver potential employment and housing sites in the south of the borough. Both the Middlewich Eastern Bypass and the A500 Dualling scheme are still subject to the necessary planning approvals. Councillor Don Stockton, cabinet member for environment, said: “Subject to planning, we have three major highways schemes which are about to get off the ground and which will make an immense contribution to an enhanced road network in the borough. Cheshire East Council has released accounts for the 2017/18 financial year – and they confirm that the authority remains in a healthy financial position. Despite a challenging year where, nationally, local authorities faced the combined effects of increased demand for services and a reduction in government funding, Cheshire East maintained general reserves at a balanced level for 2017/18. This meant that the council was able to continue to deliver much-needed services within a challenging budgetary position and make some significant improvements. ● Winning and being shortlisted for more awards than ever before. Cheshire East had a capital expenditure in the last financial year of £88.2m, which comprised key schemes such as a highways investment programme spend of £10m, an £8.5m spend on a schools improvement programme and £3.5m on a complete finance and HR business software solution called ‘Best4Business’ which will further improve council efficiencies. The borough’s unemployment rate of 3.1 per cent of economically active people aged 16 and above, is considerably lower than the national and North West average of 4.4 per cent. It equates to approximately 5,600 of our 377,100 residents. Councillor Paul Bates, Cheshire East Council cabinet member for finance and communications, said: “The last year hasn’t been easy in terms of the economic climate but Cheshire East residents can be assured that the financial position of this authority is very sound. A £6m fund to help boost local health outcomes has been approved by Cheshire East Council. Nine schemes will benefit from the fund that was approved by cabinet today (12 June), covering areas such as ensuring there is continued provision of care following a service user returning from hospital, better Bank Holiday and weekend support and increased capacity and an improved range of specialist beds. 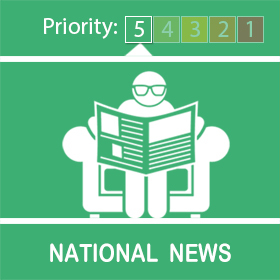 ● Ensuring that local social care providers are fully supported. Councillor Janet Clowes, Cheshire East Council cabinet member for adult social care and integration, said: “The improved better care fund has been created to support some of our most vulnerable residents to provide better-integrated health and social care services. “Getting this go-ahead today enables us to work with our partners to reduce the amount of time people need to spend in hospital and to provide the resources that will enable people to enjoy happier and more independent lifestyles within their own homes, which is a priority for Cheshire East and the NHS. Cheshire East Council’s cabinet has approved a scheme to provide funding that will assist communities where new housing developments have been built. The new homes bonus community fund is an initiative that supports residents to improve their local communities through visible, sustainable projects. The scheme is designed to achieve positive benefits based on locally-identified needs. It empowers local communities to engage in delivering specific projects for local people, giving them a voice in determining schemes that can shape and characterise their environment. This could be almost anything from a youth scheme to a highways project or community hub. The fund, which provides a total of £2m up to 2020, will give local communities an opportunity to present their ideas for projects to ward members and town and parish councils for consideration. The best ideas will go to Cheshire East Council for approval. The minimum grant figure to be awarded for these projects is £10,000. The project cost has been pitched at that amount as it ensures that the programmes of work approved will be of sufficiently significant prominence and ensure sustainability. The fund will be split across the borough based on the location of housing developments, allowing communities the opportunity to engage directly in how it should be spent. Councillor Paul Bates, Cheshire East Council cabinet member for finance and communications, said: “The idea of the new homes bonus is to allow any groups and communities, that are affected by new housing developments, to come forward and tell the council what projects can make a positive difference to their local communities. “These projects need to be ambitious and must be sustainable projects that will have a significant positive impact on people living immediately in the areas where the developments have been built. Funding released under this scheme will be subject to clear protocols to ensure outcomes are achieved. The council has undertaken a significant review of grant payments and a corporate grants policy will be considered by cabinet next month. Details of how to apply for a new homes bonus will be published soon. The annual Wistaston Village Fete takes place on Saturday 16th June 2018 at Wistaston Church Lane Academy, Church Lane, Wistaston, CW2 8EZ. The event will start with the Rose Queen parade from the Wistaston Memorial Hall at 1:30pm with a tour including Westfield Drive, White Hart Lane, Kings Drive, Princess Drive, Holyrood Drive, and Sandringham Drive, arriving at the school field for the official opening of the fete at 2pm. Attractions include arena entertainment, falconry, bouncy castle, candy floss, tombola, stalls & games, lucky dip, plants, ice cream van, hot food and a tea room. The theme this year is ‘Suffragettes’. Admission to the fete is by donation and proceeds will go towards other Wistaston Community Council village events. Paul Dean, 37, from Willaston, near Nantwich successfully ran 10 marathons in 10 days to raise money for charity. Paul started his gruelling coast-to-coast 262-mile challenge in Skegness by the North Sea on Friday 25th May 2018, then travelled across the country through Lincolnshire, Nottinghamshire, Derbyshire, Cheshire, Flintshire, Denbighshire and finished in Llandudno in north Wales by the Irish Sea on Sunday 3rd June. Paul raised several thousand pounds for blood cancer charity Bloodwise https://bloodwise.org.uk . Paul ran in memory of his father, David, and two friends Mark and Will, who all succumbed to the illness. Bloodwise fund world-class research into all types of blood cancer and provide information and support to those affected. Paul Dean said: “I’m pleased and very much relieved to have completed the challenge. Ever since my first attempt 3 years ago it's been bugging me that I wasn't able to finish last time. I've been quite worried that I might get injured again; as it happens I did suffer a couple of minor injuries but nothing too serious. With two days to go my ankle swelled up (exactly as it did last time), but as I was close to the end I was able to hobble the last few miles. I think if there had been an extra marathon to run after Sunday I wouldn’t have been able to do it. I'm really grateful to everybody who has encouraged and helped throughout the build-up and during the event itself. Several people came to see me en route and a few ran with me - that certainly helped my morale; the miles seemed to pass quicker when I had company. Special mention must go to my wife Stephanie who was there every step of the way. The event would have been impossible without her.